Shoegaze band My Bloody Valentine reunites with a new album and world tour in 2013. Vocalist Ben Gibbard and producer Jimmy Tamborello will be joined by Jenny Lewis on The Postal Service 2013 reunion tour. . I often wish that certain bands would just put aside their differences and get back together already. Since I was never able to see the flawless starting lineups of the Beatles, Queen and Nirvana (R.I.P Lennon, Harrison, Mercury and Cobain), I think that fractured groups with most members still alive and well should at least try bonding over some new jam sessions, at least for my own anxious 24-year-old peace of mind. Jeff Mangum, David Byrne and Morrissey have all launched successful solo careers after the dissolution of their respective bands, and they don&apos;t necessarily need their former groups to write great songs on their own. Still, I hold on to the hope that they will one day reconcile with their long-lost mates and make beautiful music together again. If the old geezers in the Rolling Stones can continue to play sold-out concerts after 50 tumultuous years of drug abuse and backstabbing, then surely anything is possible. Unfortunately, the chances of these aforementioned reunions actually happening are slim to none. Mangum has collaborated on other projects with members of Neutral Milk Hotel in recent years, but the group hasn&apos;t released a full album of new material since 1998&apos;s magical In the Aeroplane Over the Sea. Byrne has flatly denied the possibility of a Talking Heads reunion since 2004, perhaps because former bandmate Tina Weymouth had just outed him as an egotist "incapable of returning friendship." And in 2006, Morrisey famously stated: "I would rather eat my own testicles than reform The Smiths, and that&apos;s saying something for a vegetarian." Ouch. Luckily, two of my long-absent favorites have recently announced surprise reunion tours. Shoegaze phenomenon My Bloody Valentine and electropop darling The Postal Service will both be touring again in 2013, much to the delight of their unwaveringly loyal fans. 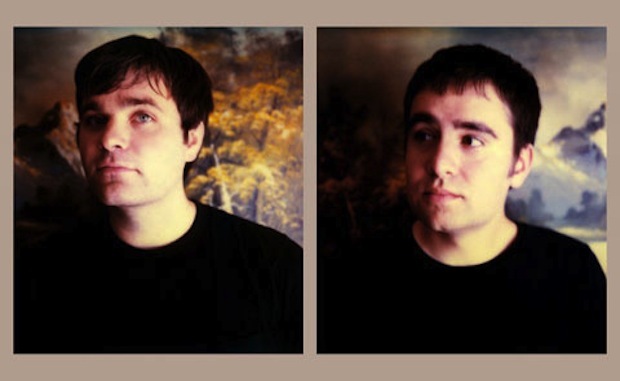 The Postal Service released their debut Give Up in 2003 to chart-topping success, but the indie-pop duo of Death Cab for Cutie vocalist Ben Gibbard and electronic artist Jimmy Tamborello hasn&apos;t produced a follow-up since. Still, the decision to play a handful of shows this spring (peaking at Coachella in mid-April) with former tourmate Jenny Lewis already has tongues wagging about a possible new release. And although both of these bands have neglected to include Chicago on their respective touring schedules thus far, another legendary rock reunion is certain to grace us with its presence soon. In celebration of the 45th anniversary of their first album release, the core living members of Fleetwood Mac (Stevie Nicks, Mick Fleetwood, Lindsey Buckingham and John McVie) are reuniting for a highly-anticipated U.S. tour that will stretch across 35 cities from April to July. What other bands are you excited to see reuniting this year? Did you attend the surprise Fall Out Boy reunion show at Subterranean last night? Sound off in the comment section below or send me a tweet @leahkpickett with your favorites.